Located on Highway 7 (Main Street) between Acton and the City of Guelph, Rockwood is a vibrant and attractive community to live, work and visit! Whether visiting the nearby Rockwood Conservation Area or just passing through, we encourage you to stop and shop at the many business located in Rockwood. 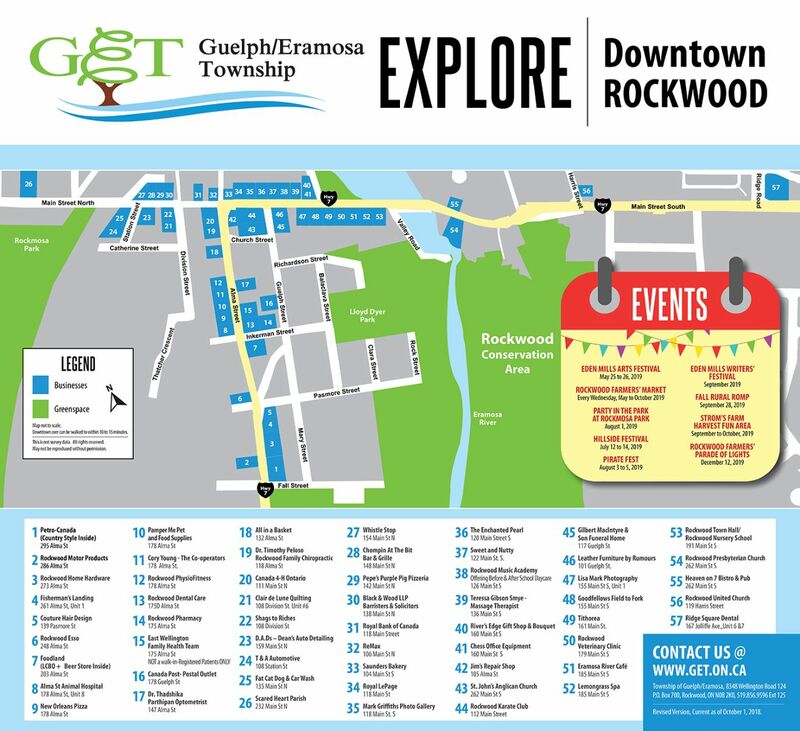 With assistance from our commercial community, the Township of Guelph/Eramosa has created a map of the businesses located in our downtown core! Please feel free to print the map or pick up a copy from the Municipal Office. If you operate a business in Rockwood and wish to have it featured on our map, please contact aknight@get.on.ca or 519-856-9596 ext. 125. Click on the image below to enlarge it.